Staff from Coleg Cambria have returned to the College after exhibiting at the historic Flint and Denbigh Show. Staff from Coleg Cambria’s sites in Northop and Llysfasi welcomed visitors to their stand at the showground. The weather held up and thousands enjoyed the annual agricultural event held in Denbigh. Cambria staff enjoyed meeting new and old faces and gave information about part time and full time courses available at the College. 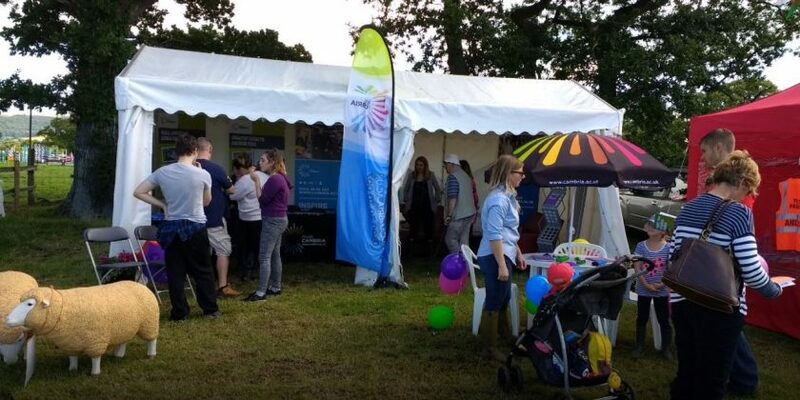 Coleg Cambria Assistant Principal and Director of Curriculum, Vivienne Martin said, “Coleg Cambria Llysfasi and Northop had an excellent day at the Denbigh and Flint Show, it was pleasing to see many old and prospective students visiting our stand.